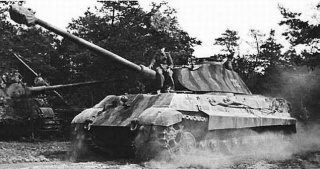 The Tiger II is a German tier 8 heavy tank. 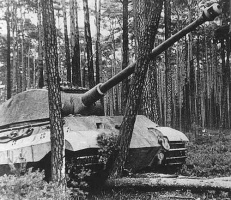 One of the most feared tanks in the Second World War, The Königstiger (literally "King Tiger") operates rather unsatisfying in stock configuration; however, with proper positioning, it is capable of bouncing shells off its sturdy sloped frontal armor, provided that its lower front plate is hidden at all times, as it is only 100mm thick. It sports a workable level of mobility, though the weak engine makes climbing slopes painfully slow. All in all, this tank is a decent machine at long-range combat, featuring superior accuracy, good penetration, and a balanced alpha damage. 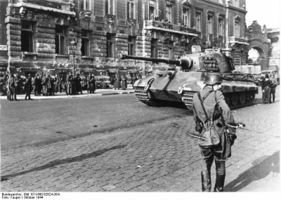 The Tiger II leads to the E 75. - Decent stock grind - The 8.8cm has good accuracy for sniping, and is still competitive in terms of RoF and DPM. - Upper glacis can bounce Tier 8 heavy tank guns reliably. - Decent penetration and accuracy with acceptable alpha damage on the top 10.5 cm gun. - Nice view range and short reload time compared to most Tier 8 heavies. - Relatively good gun depression and surprisingly good hull traverse despite mobility issues. - Stock suspension can take upgraded engine and full set of equipment. - Upper glacis can bounce only Tier 8 guns reliably; any gun with about 250mm pen can go right through it. - Huge yet inadequately armored hull except for the upper glacis; lower glacis is very weak, and the unimproved side armor allows only auto-bounces. Vulnerable to flanking. - Underarmored turret; stock turret holds only against tier V guns; top turret except for the mantlet is only reliable against lower tiers either. Roof can also be overmatched. - High profile and poor camo values. - Engine is very underpowered for the tank's weight, resulting in general low mobility. - Effectiveness is eclipsed by newer Tier 8 heavy tanks. The Tiger II more or less plays like the Tiger I, but with greatly improved armor. 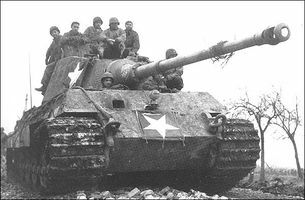 The fast reload time, rivaling the T32's and the 110's, is a definite asset at any range; however, as with the Tiger I, damage dealing from afar is recommended. 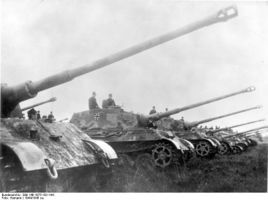 The Tiger II's sides and lower front plate are too vulnerable in a brawl, and the turret roof gets overmatched by the common 122mm Soviet guns reliably at close range. 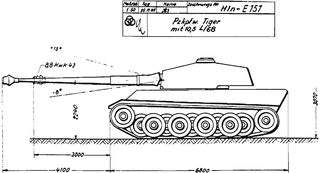 What the Tiger II lacks in speed it makes up for with its above-average hull traverse. The Tiger II can turn fast enough to respond to flankers or flank heavies that lack such maneuverability. 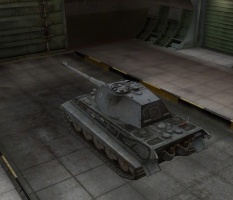 The Tiger II is one of the tanks that challenge many higher-tiered opponents. Tier 9's treat this tank as a danger, while quite a few Tier X tanks treat it seriously. That does not mean that this tank can be played as a brawler in high-tier matches. Make use of the well-engineered armor and the superior accuracy of its gun, high penetration and (uncommon for Germans) good gun depression; use cover and fight at range. If played well, this tank can engage any tank of the same tier and win. 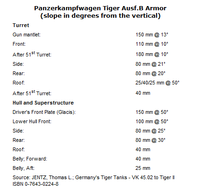 Although frowned upon, brawling in this tank can be pulled off; however, the rather mediocre all-round armor for the Tiger II's size (and its massive lower glacis) make it difficult. Your armor will prove quite frustrating to enemy tier 6's and even some tier 7's, but be wary of any fast moving mediums that try to flank you. You may be able to turn faster than most heavies, but that doesn't mean you are flank-proof. Opposing IS-3s and other heavy tanks can mostly be successfully engaged with the 10.5cm. Despite the apparent role of the Tiger II, it can occasionally prove useful to facehug, however this is NOT recommended against higher tier tanks, as they still will be able to punch straight through your armor. 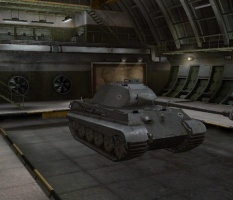 A large portion of enemy tanks will be Tiers 9 or 10. You'll need to target vulnerable areas of the opponents for effective supporting fire; otherwise, you won't stand a chance. Try to stay alive and you might make more of a difference once the strongest tanks kill each other off. The accuracy and reload time help immensely. The 'Peek-a-boom' tactic, relied upon by the IS series tanks, can prove very helpful for the Tiger II and the tanks it leads to, specifically at medium or long range; this is a good time to learn this skill as it becomes extremely potent in the E 75 and E 100. The upgraded engine carries over from the Tiger. The FuG7 radio is common on many German vehicles, and chances are you've probably already researched this one. 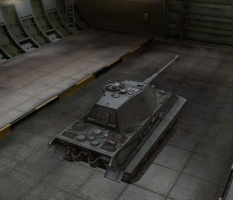 Upgrading the turret is a good place to start, due to the increased frontal armor and DPM. You can mount it with the stock suspension, but you'll either have to forego the top engine and equipment, or temporarily install the enhanced suspension. Otherwise, you'll need to research the suspension first, leaving you with a vulnerable turret for quite a while. Mounting the short 10,5 cm KwK 45 L/52 is ill-advised because its penetration and accuracy are lower than the 8,8 cm's as well as its DPM, and the quadrupled shell cost will prove to be an expensive decision. If credits aren't a problem, then you could mount the short 105 for the the higher damage per round. PzKpfw Tiger mit 10,5 L/68. Existed only in blueprints. The 10,5 cm KwK L/68 blueprint was merely a proposal that was rejected by the development department. The weapon itself had also been rejected for service by the Wehrmacht. No historical records exist of a 10,5 cm KwK L/52 gun being developed for the Tiger II. 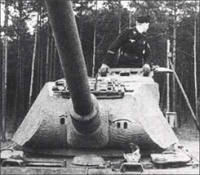 The Tiger II's engine was a redesigned HL 230, giving it 900 hp instead of 700, in the Henschel version (the top configuration). Dark yellow was the standard colour on all German armoured vehicles from February 1943. 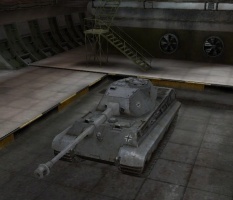 In World of Tanks, however, the Tiger II is in panzer gray. This page was last modified on 28 September 2018, at 13:01. This page has been accessed 1,042,420 times.